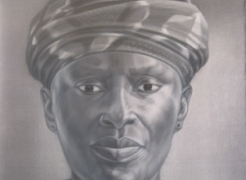 Joan Mitchell Foundation Grant, 2011. 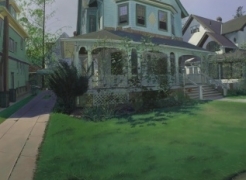 “Andrew Lenaghan: Around the House”, George Adams Gallery, New York, NY, 2014. 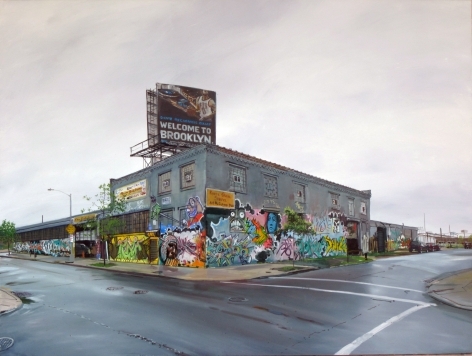 “Andrew Lenaghan: Recent Paintings.” George Adams Gallery, New York, NY, 2011. “Santa Fe Paintings.” William Segal Gallery, Santa Fe, NM, 2009. 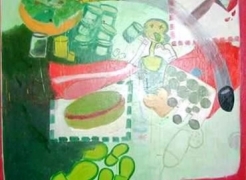 “New Large-Scale Paintings.” George Adams Gallery, New York, 2009. 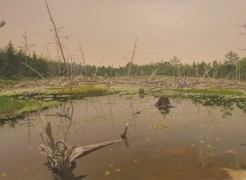 “Paintings of Maine.” George Adams Gallery, New York, 2008. 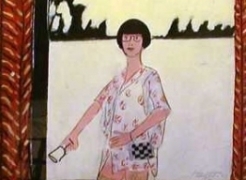 "Paintings." 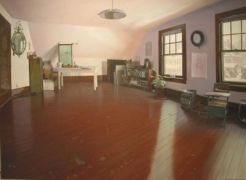 President's Office Gallery, Pratt Institute of Art, Brooklyn, New York, 2007. 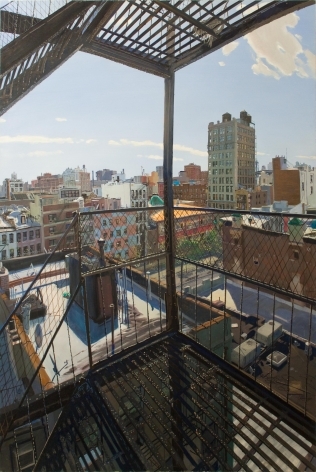 “Andrew Lenaghan: Summer in the City.” George Adams Gallery, New York, 2007. "Andrew Lenaghan: Street Level New York." George Adams Gallery, New York, 2006. "Andrew Lenaghan: The Blue Gorilla et al." Greenville County Museum of Art, 2006. 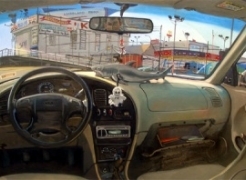 “Andrew Lenaghan: New Paintings.” George Adams Gallery, New York, 2003. 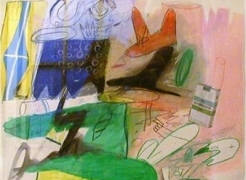 “Andrew Lenaghan: New Paintings.” George Adams Gallery, New York and Greenville County Museum of Art, Greenville, South Carolina, 2000. 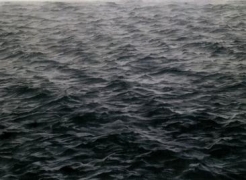 “Andrew Lenaghan: New Paintings.” George Adams Gallery, New York, 1998. "Andrew Lenaghan: Paintings." Montpelier Sandelson Gallery, London, 1997. 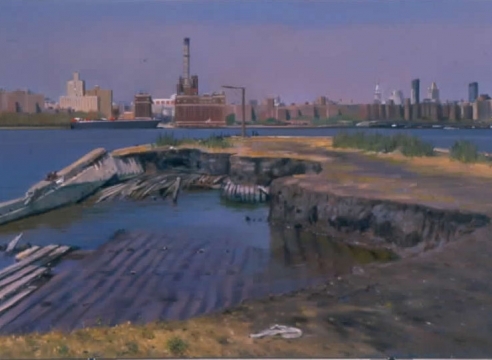 “Andrew Lenaghan: Gowanus Paintings.” George Adams Gallery, New York City, 1996. 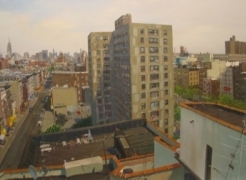 “Andrew Lenaghan: Small Paintings of Brooklyn.” George Adams Gallery, New York City, 1995. “Unsteady Ground, What is Drawing?” Newark, NJ, 2013. 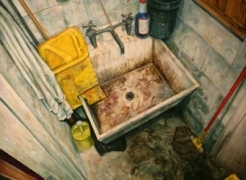 “Artists’ Ink,” George Adams Gallery, New York, NY, 2012. 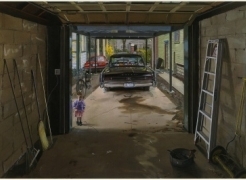 “Art of Collecting,” Flint Institute of the Arts, Flint, MI, 2011. “Group Show: Size Matters: Large-scale and Small-scale Paintings, Drawings, and Sculptures.” George Adams Gallery, New York, 2011. 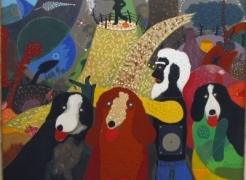 “Group Show: New and Classic.” George Adams Gallery, New York, 2010. “Andrew Lenaghan + Peter Ogilvie.” William Siegal Gallery, Santa Fe, 2009. 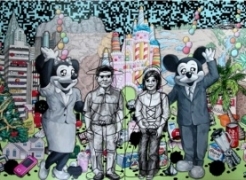 “Summer Group Show.” George Adams Gallery, New York, 2009. 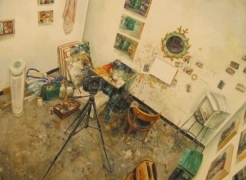 “COOL,” George Adams Gallery, New York, 2008. 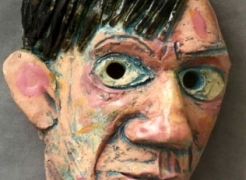 "Scrutiny: Artists' Self Portraits," Suzanne H. Arnold Art Gallery, Lebanon Valley College, Anville, PA, 2008. "Inside/Outside," George Adams Gallery, New York, NY, 2007. 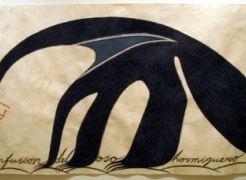 "Good Night Sun: Nocturnes, Storms and Sunsets," George Billis Gallery, New York, NY, 2007. "Crossing Disciplines/Furniture," Rubelle and Norman Schafler Gallery, Pratt Institute, Brooklyn, NY, 2007. 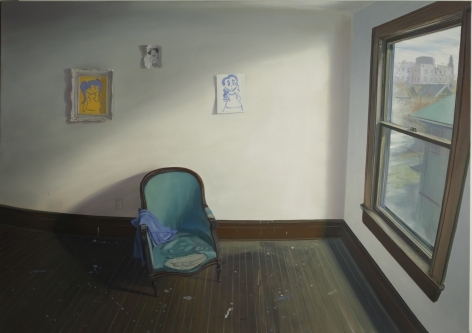 "The Art of the Gettysburg Review: Representation in Contemporary American Painting," Schmucker Art Gallery, Gettysburg College, Gettysburg, PA, 2007. 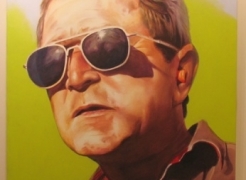 "Mr. President," University Art Museum, SUNY, Albany, New York, 2007. "In the City." George Billis Gallery, New York, 2006. "Group Show." George Adams Gallery, New York, 2006. 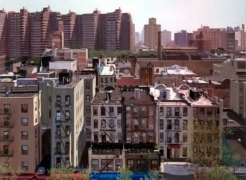 "Urban Landscape." Omni Gallery, Uniondale, New York, 2005. 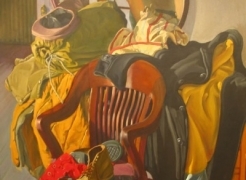 “7th Annual Realism Invitational.” Jenkins-Johnson Gallery, San Francisco, CA, 2005. 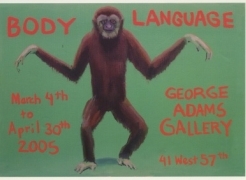 “Body Language.” George Adams Gallery, New York, 2005. “Bush- Whack!” George Adams Gallery, New York, 2004. “Innocence Found.” DFN Gallery, New York, NY, 2004. 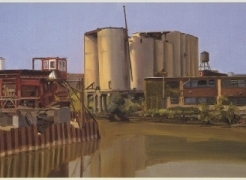 “Industrial Beauty.” George Billis Gallery, New York, NY, 2004. “The Dreamland Artists Club.” Produced by Creative Time. Coney Island USA, Brooklyn, NY, 2004. 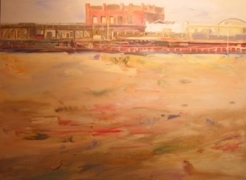 “Painting the Brooklyn Waterfront.” Marymount College, Fordham University, Tarrytown, NY, 2003. "Brooklyn on 57th." Nora Haime Gallery, New York, NY, 2003. 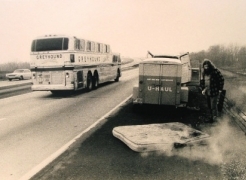 "Road Show." George Adams Gallery, New York, 2003. 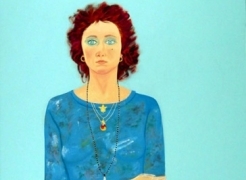 "The Masters of Contemporary Realism." Martin Art Gallery, Muhlenberg College, Allentown, PA, 2003. *"
“In the Eye of the Beholder." George Adams Gallery, New York, 2003. "The Art of Collecting." Flint Institute of Arts, Flint, MI, 2002. "9 11: Pratt Artists Respond." Schafler Gallery, Pratt Institute, Brooklyn March - April 2002. "Me, Myself & I." George Adams Gallery, New York, 2002. "Gallery Artists Respond: A Benefit Exhibition of Works by Gallery Artists" and "I Love New York Benefit" George Adams Gallery, NY, 2001. "Foundation Faculty." Schafler Gallery, Pratt Institute, Brooklyn, 2001. "The Art of Collecting." Flint Institute of Arts, Flint, Michigan, 2000. “New Realism for a New Millennium.” Memorial Art Gallery, University of Rochester, New York, 1999. “Art About Art.” George Adams Gallery, New York, 1999. “Illumination.” George Adams Gallery, New York City, 1998. 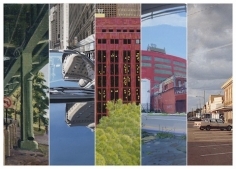 “Contemporary American Landscape.” M.A. 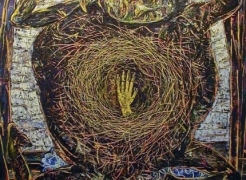 Doran Gallery, Tulsa, 1998. 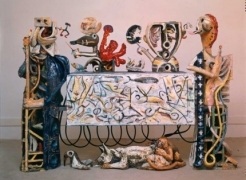 “Reflections of Taste: American Art from Greenwich Collections.” Bruce Museum, Greenwich, Connecticut, 1997. 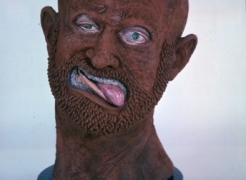 “Mixing Business with Pleasure: Selections from the George Adams Gallery, New York.” Sawhill Gallery, James Madison University, Harrisonburg, Virginia, 1997. “It Figures.” Art Gallery, Stephen Austin State University, Nacogdoches, Texas, 1996. “Going Places.” George Adams Gallery, New York City, (Summer) 1996. 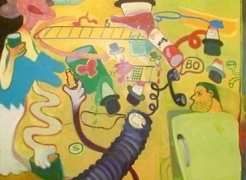 “The Resurgence of Representation.” First Street Gallery, New York City, 1996. The Roundabout Theatre, New York City, 1993. ADF/NY School of Interior Design Exhibit. International Design Center, Long Island City, 1991. Watchung Art Center, New Jersey, 1990. 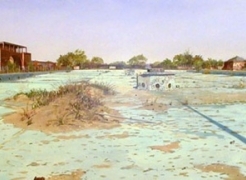 “Regional Views.” Rabbet Gallery, New Brunswick, New Jersey, 1989. New Jersey Association of Independent Schools, Faculty Exhibit. Gladston, New Jersey, 1989. 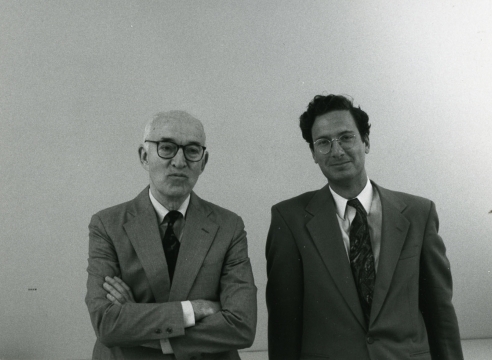 “New Jersey Masters.” Rabbet Gallery, New Brunswick, New Jersey, 1988. Greenville County Museum of Art, South Carolina, 2009. Creative Time: The Dreamland Artist Club, renewal of Coney Island signage, Coney Island, Brooklyn, New York, 2004. BARNES, Steve. 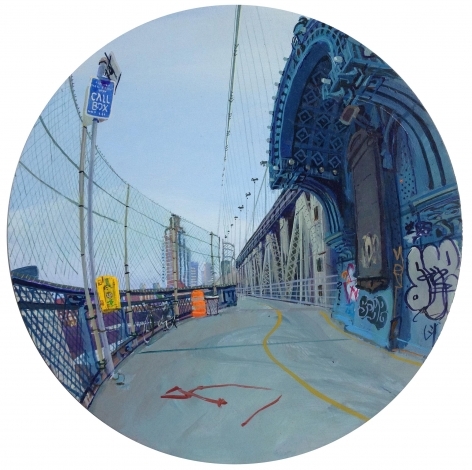 “”Reviews: New York.” ARTnews. November 2009, pp. 115. illus. BASS, Ruth. 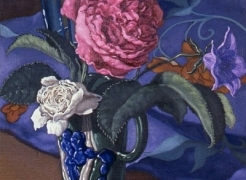 “Realism: When a Rose is a Rose.” ARTnews. 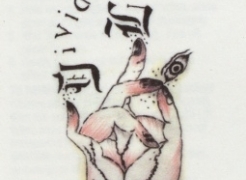 February 1996. illus. _____. “Realism: When a Rose is a Rose.” The Artist Magazine [Taipei, Taiwan] Issue 4 1996. Illus. HUTTON, Molly. 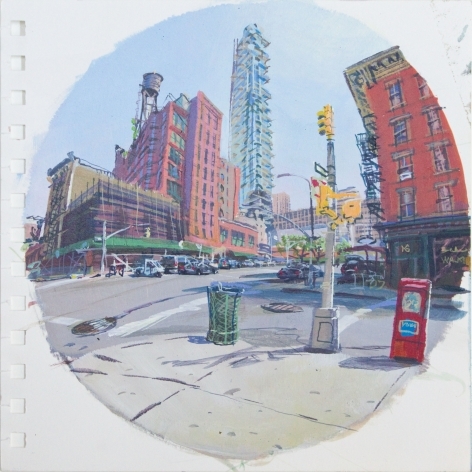 “Andrew Lenaghan’s City.” The Gettysburg Review, 16.3, Autumn 2003, pp 414- 416; illus. pp. 417-425, cover. JOHNSON, Ken. 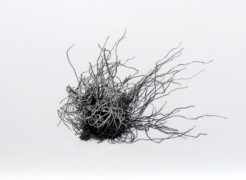 "Art in Review: Andrew Lenaghan." The New York Times. 28 December 2001, pp. E44. KALM, James. "Andrew Lenaghan." NY Arts Vol. 5, No. 1, January 2000, pp. 40. 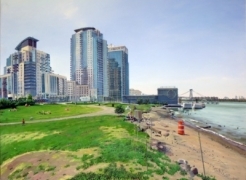 KIMMELMAN, Michael. 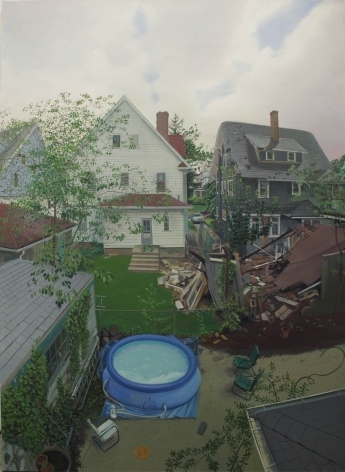 “Art in Review-Andrew Lenaghan.” The New York Times. 28 January 2000, pp. E37. KUNTZMAN, Gersh. 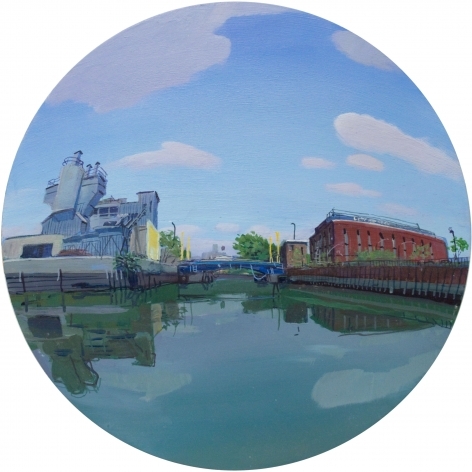 "Gowanus Canal Diary: Under the Surface of Brooklyn's Infamous Waterway." New York Post. 28 September 1996, pp. 27. MORRONE, Francis. “Funk Art, Psychedelia, and Post-Punk Sensibility.” New York Post. 30 August 2007. MULLARKEY, Maureen. 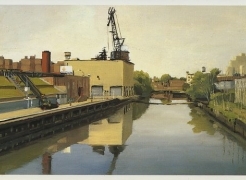 “Gallery- Going: Industrial Beauty, George Billis Gallery.” New York Sun. 29 July 2004. NAVES, Mario. Currently Hanging. "Postcards From the Edge: Lenaghan in Our Backyard." The New York Observer. 7 January 2002, pp. 16. NAVES, Mario. “Lovely Challenges.” CityArts. 21 February, 2012. NEWHALL, Edith. 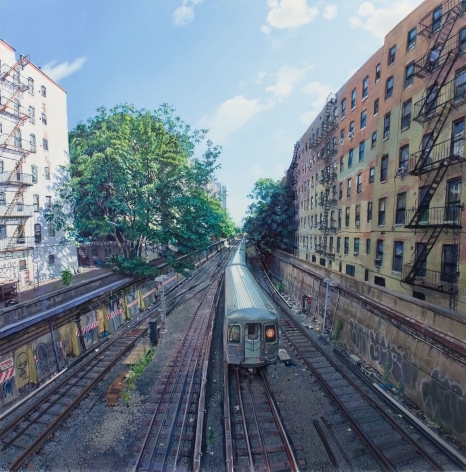 Art Choices/Galleries/57th Street Area "Andrew Lenaghan." New York Magazine. 7 January 2002, pp. 92. RILEY, JR., Owen. “Canvassing the Upstate.” The Greenville News. 23 March 2000, pp. 1B (Metro section cover), illus. SMITH, Roberta. “Art in Review.” The New York Times. 30 October 2009, C25. WORTH, Alexi. “Goings on About Town.” New Yorker. 24 January 2000, pp. 13. illus. 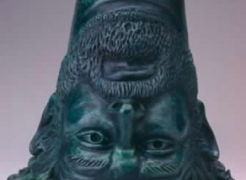 _____. 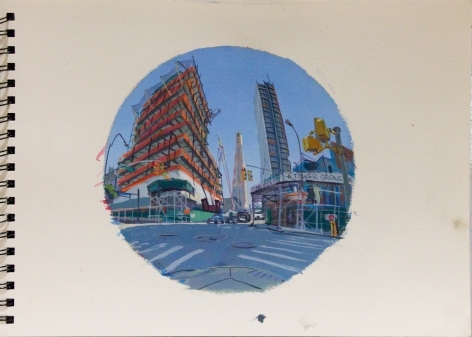 "Goings on About Town- Galleries Uptown-Andy Lenaghan." New Yorker. 14 January 2002. pp. 14. George Adams Gallery, New York. 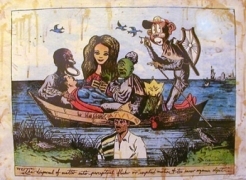 “Andrew Lenaghan.” 2001. Jenkins Johnson Gallery, San Francisco. 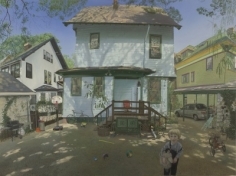 ”Sixth Annual Realism Invitational.” 2004.